Will god be our strength during tough times? Well, the Kerala State Disaster Management Authority (KSDMA) doesn’t think so. On their Facebook page, KSDMA posted updates on the rains, and rising water levels in different dams in Kerala. 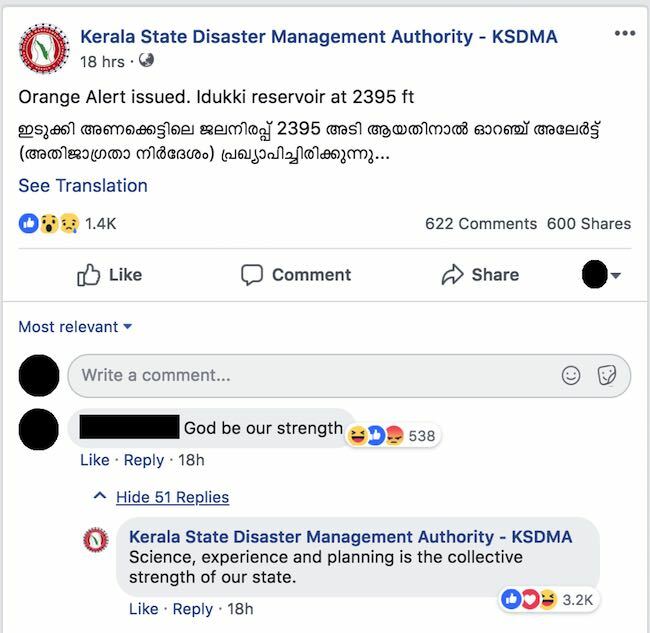 A person commented on this post, “God be our strength.” And while that’s a common reaction of people when it comes to natural disasters, the KSDMA decided to reply with a rational approach. “Science, experience and planning is the collective strength of our state,” the KSDMA said. And while there were around 500 reactions for the “God be our Strength” comment, the KSDMA’s reply received more than 3,200 reactions at the time of writing, and hundreds of people commended the authority for their reply. The fact that so many people believe in being rational even in the face of adversity has heartened many. Sandeep Krishnan, a rationalist, posted that he was happy that people were choosing to believe in science and not god. In fact, our Fundamental Duties in the Constitution of India clearly states that it is the citizens’ responsibility to develop scientific temper, points out Mini Mohan, a sociologist and rationalist. The duties enumerated in Article 51A are statutory duties, and are enforceable by law. Violation of the duties can be met with punishment. But the Constitution itself does not impose penalty for the violation of the duties – it is left to the Legislatures to prescribe penalty. While no law has been made in the regard at either the Central or the state level, in the current climate – where several high profile leaders have prescribed mythology and religious beliefs as fact in public life – the KSDMA’s message comes as a relief, rationalists say. 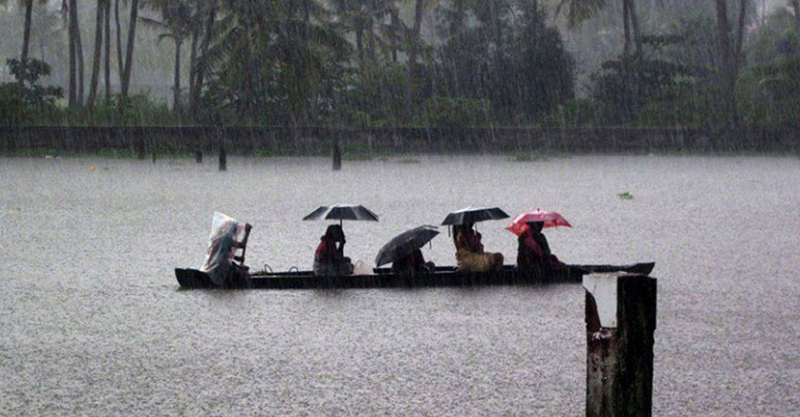 For the last 48 hours, Kerala has been hit by heavy rains, and water levels have been rising in different dams. After 26 years, a decision was taken to open the shutters of the Idukki dam, one of the highest arch dams in the continent, due to rising water levels. With the water level in the Idukki reservoir touching 2,395 feet on the night of Monday, 30 July, just nine feet short of the full level, an orange alert was issued by the KSDMA. The final red alert would be issued when the water level touches 2,399 feet. The full level of the dam is 2,404 feet. The water level is related to the Mean Sea Level and catchment area.